Preheat oven to 350° F. Spray a 9”round cake with non-stick cooking spray. Unroll tube of biscuit dough and cut each of the 8 biscuits into 8 pieces. Mash the banana in a small bowl. Set aside. In a large storage plastic food bag, combine half of the White Chocolate pudding mix, brown sugar and cinnamon. Shake well until thoroughly combined and there are no lumps. In a small bowl, combine melted butter and remaining half of the pudding mix. Stir until combined. Dunk each piece of biscuit dough into the butter mixture and then shake in the brown sugar bag. Place half of the pieces of dough into the cake pan. Drop pieces of banana over the layer of dough and then sprinkle evenly with the chocolate chips. 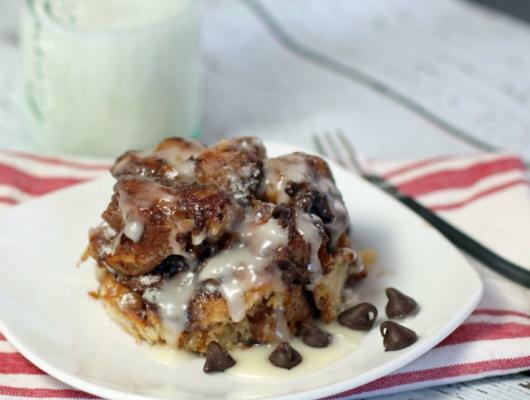 Place the remaining pieces of dough over the top of the banana chocolate chip layer. Bake for 20 minutes and then take out of the oven carefully. Gently toss the biscuits with a large spoon, so any uncooked pieces on the bottom are moved to the top. Bake for another 18-22 minutes until golden brown and no longer doughy in the center. Cool in pan 10 minutes. Turn upside down onto a serving plate and sprinkle with powdered sugar, or make the icing if desired by combining all ingredients and drizzling over the top. Serve warm. 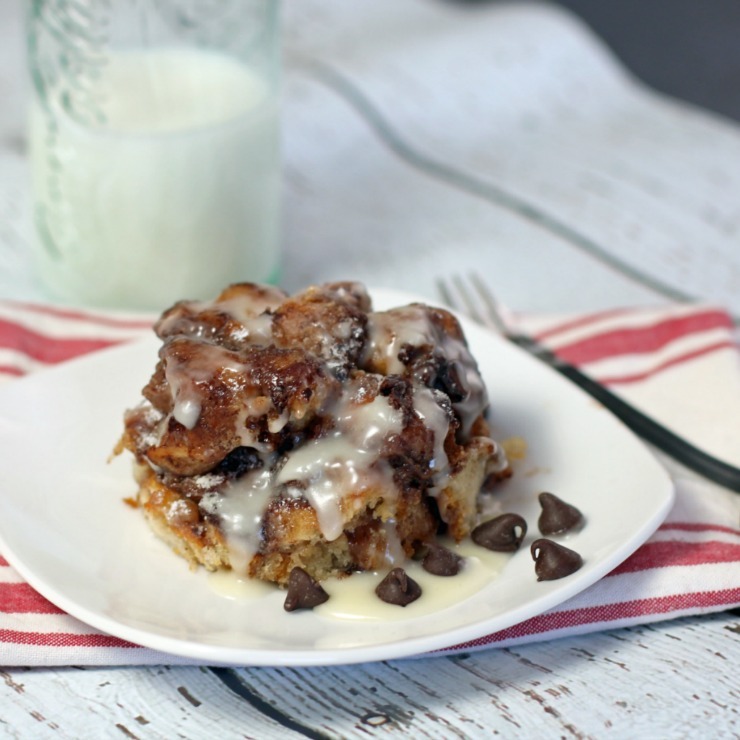 Double Chocolate Banana Monkey Bread is flaky layers of golden caramelized, cinnamon spiced, dual chocolate goodness that is a sweet, gooey, addictive delicacy.